East Village Today: Re-Paint Job? 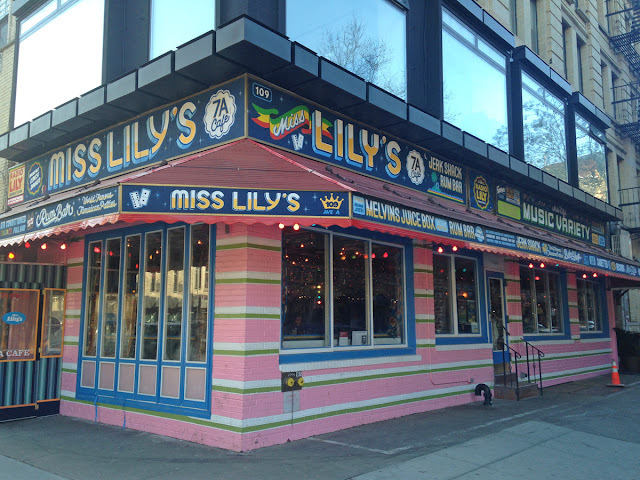 Did the beloved Miss Lily's, on the corner of Avenue A and East 7th Street, repaint? Is this a new color? I'm not sure. Maybe it's just that the tables are gone from the sidewalk. my first reaction is that the signage needs neon lighting, either red or pink.